Note This FAQ is based on the mydlink app version 1.5.4 (build 109) from Android (v8.0.0). 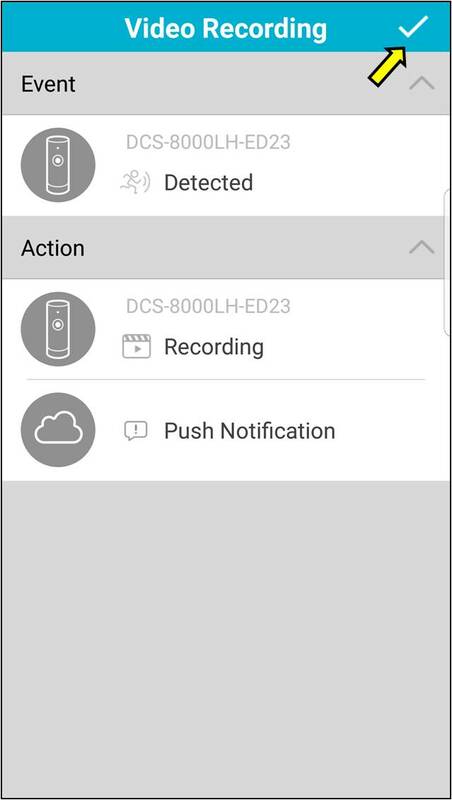 The iOS version may look a little different. 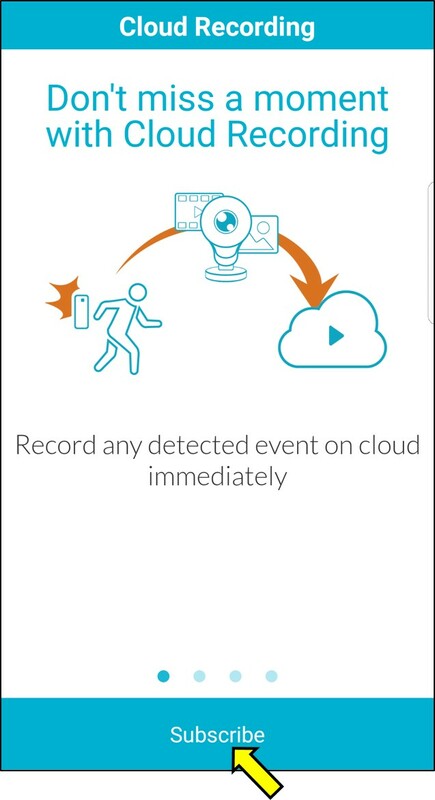 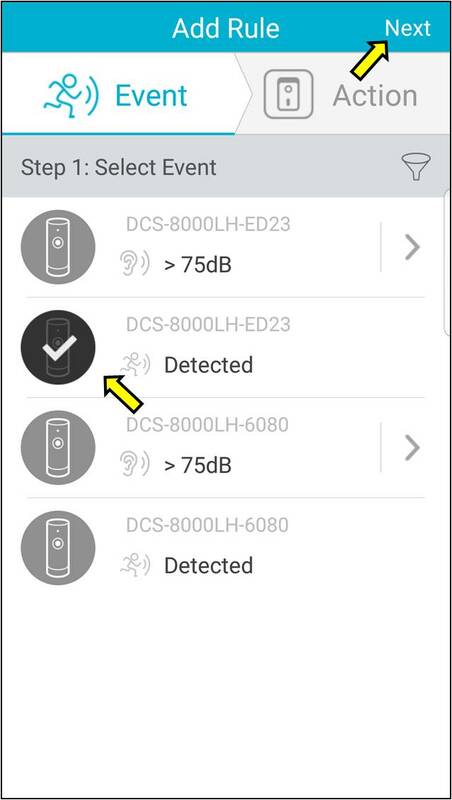 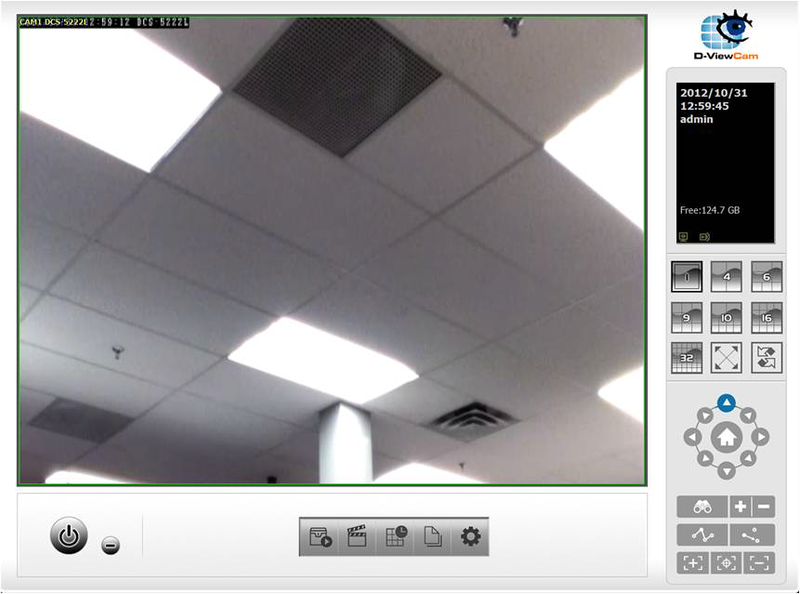 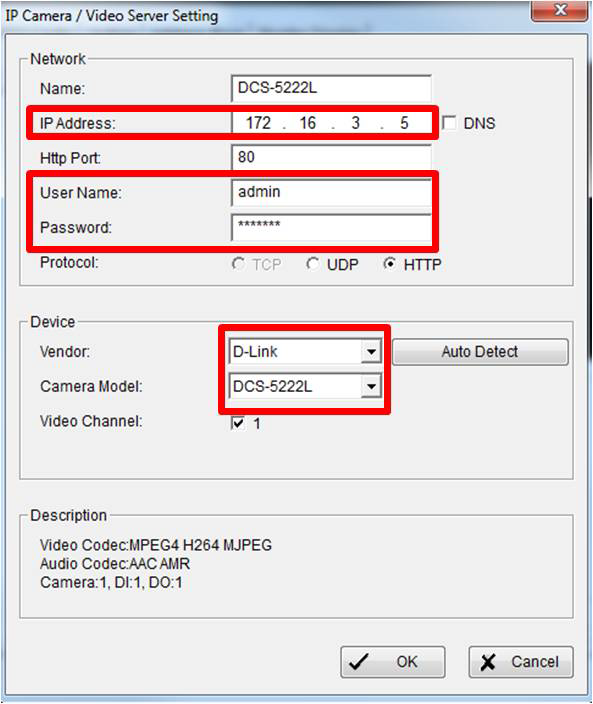 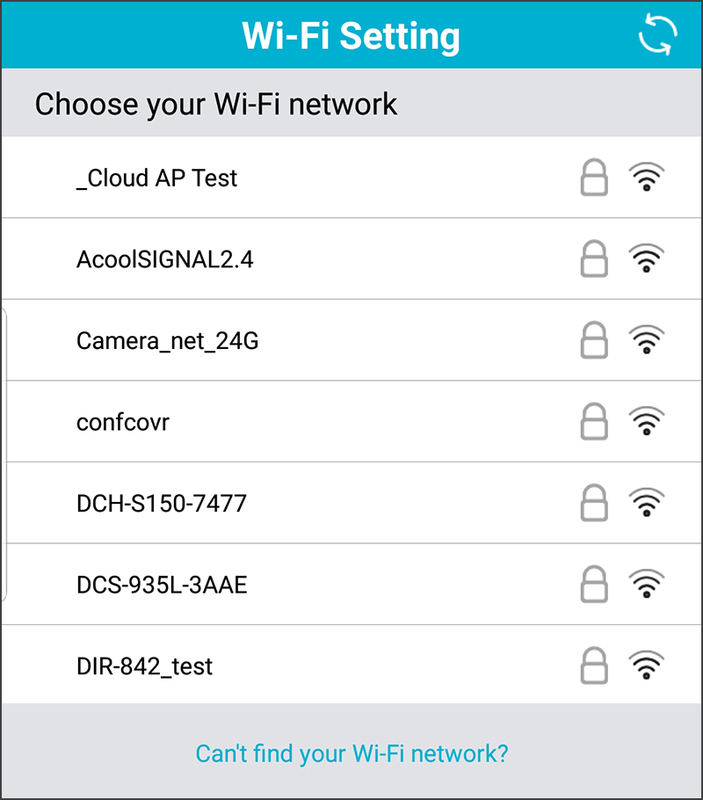 How do I enable cloud recording for my D-Link camera? 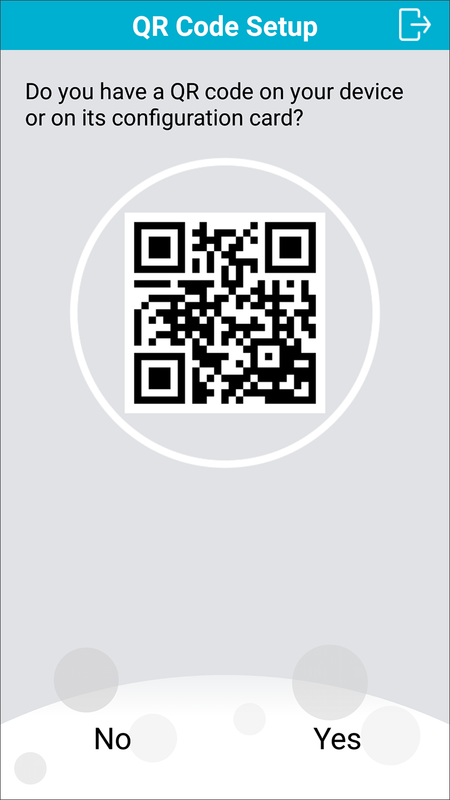 Step 1: Launch the mydlink app and sign into your account. 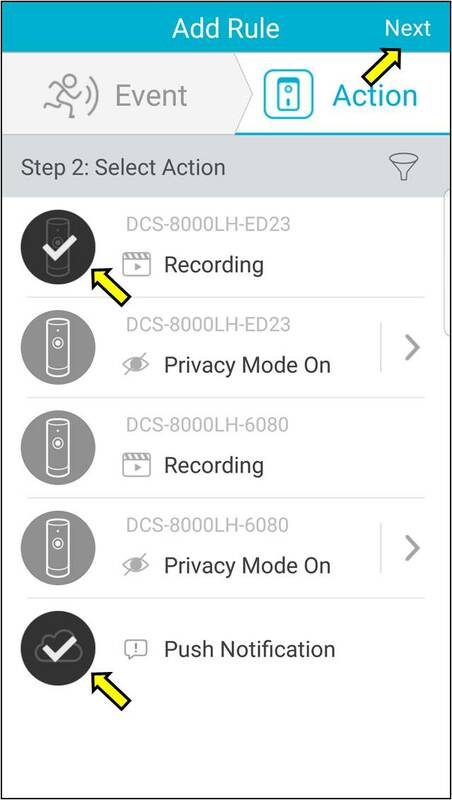 Step 2: Tap the menu icon in the upper left corner. 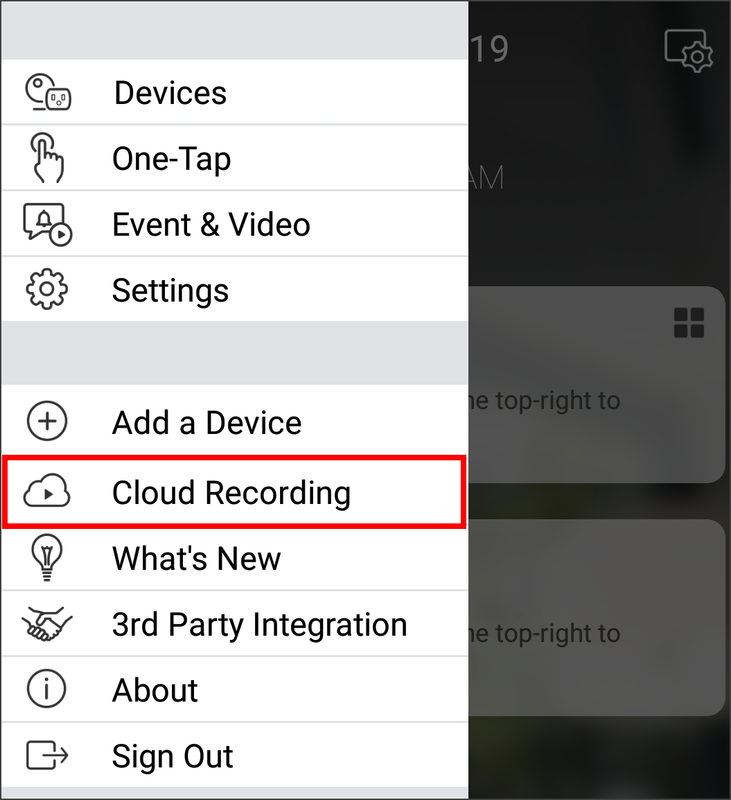 Step 3: Tap Cloud Recording. 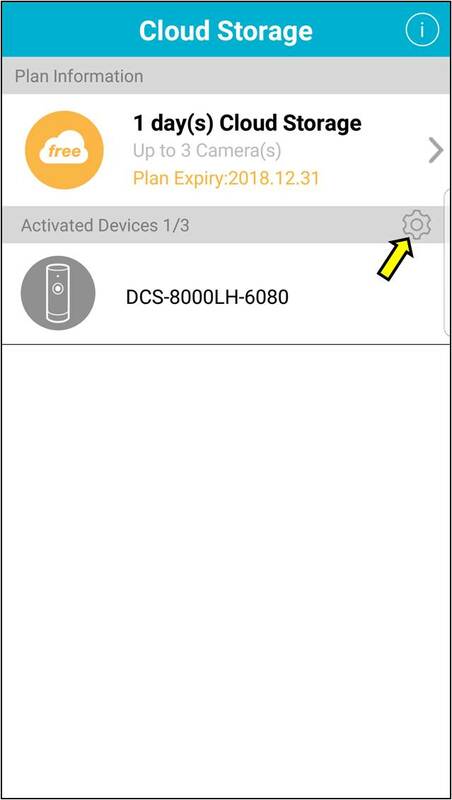 Step 5: Choose an Available Plan. 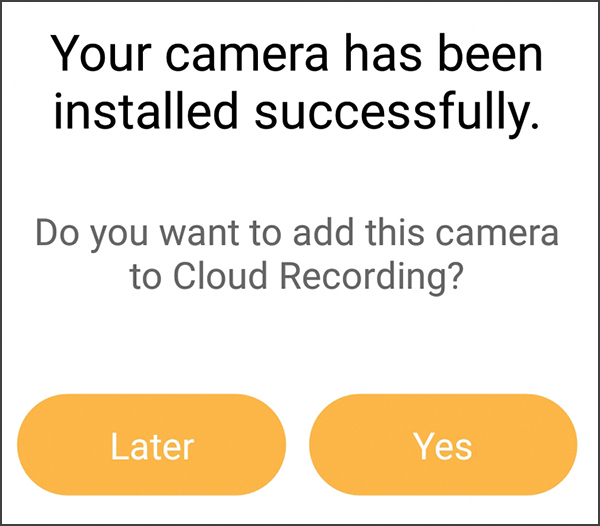 Step 6: Tap Subscribe Now. 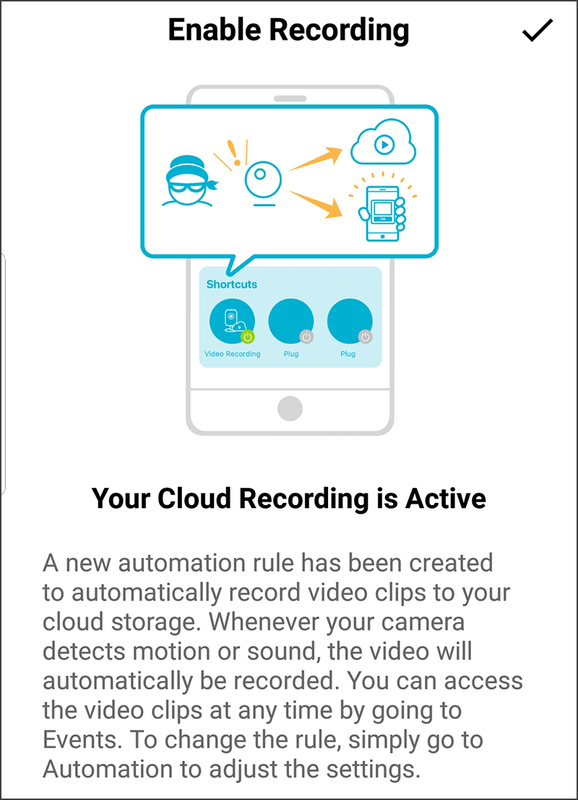 Step 9: Select the camera you want to enable the cloud recording for, then tap on the on the top right. 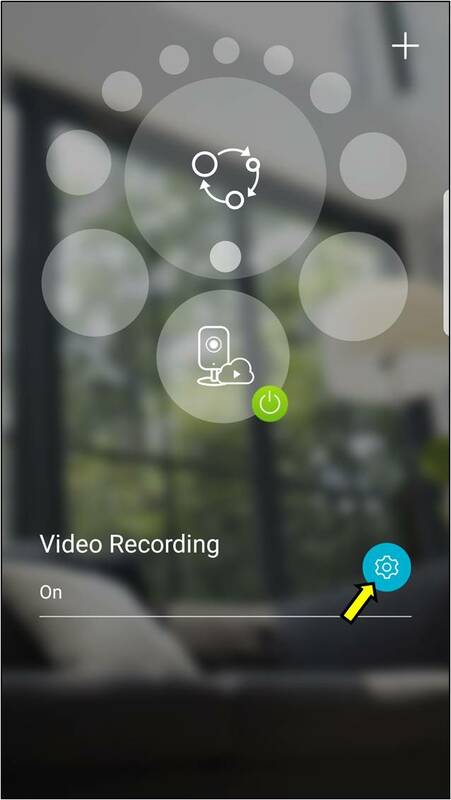 Step 10: Tap the on the top right . 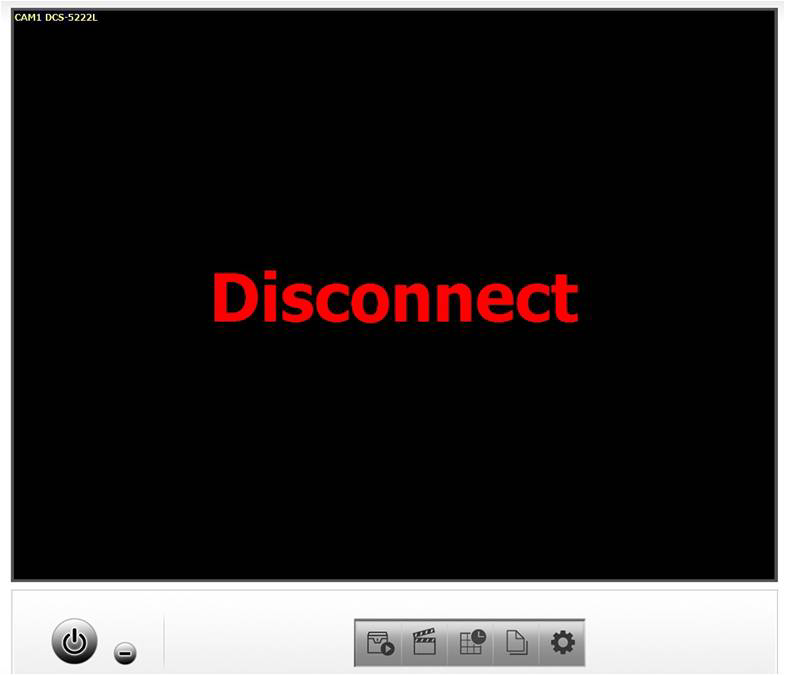 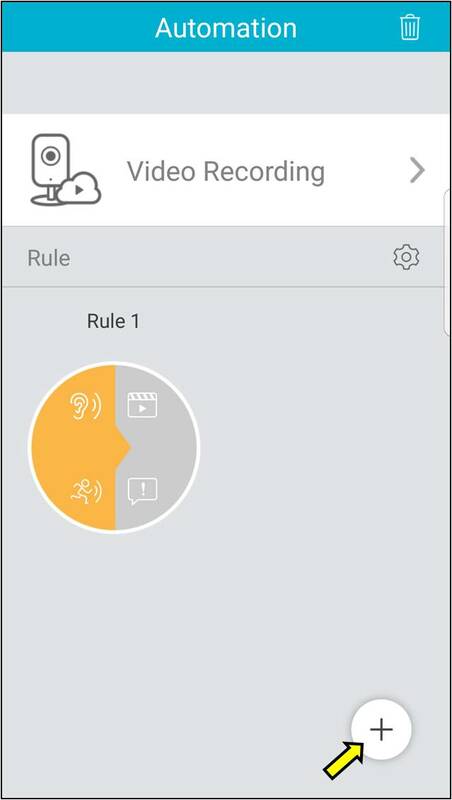 Step 11: Click here to set up recording on your camera. 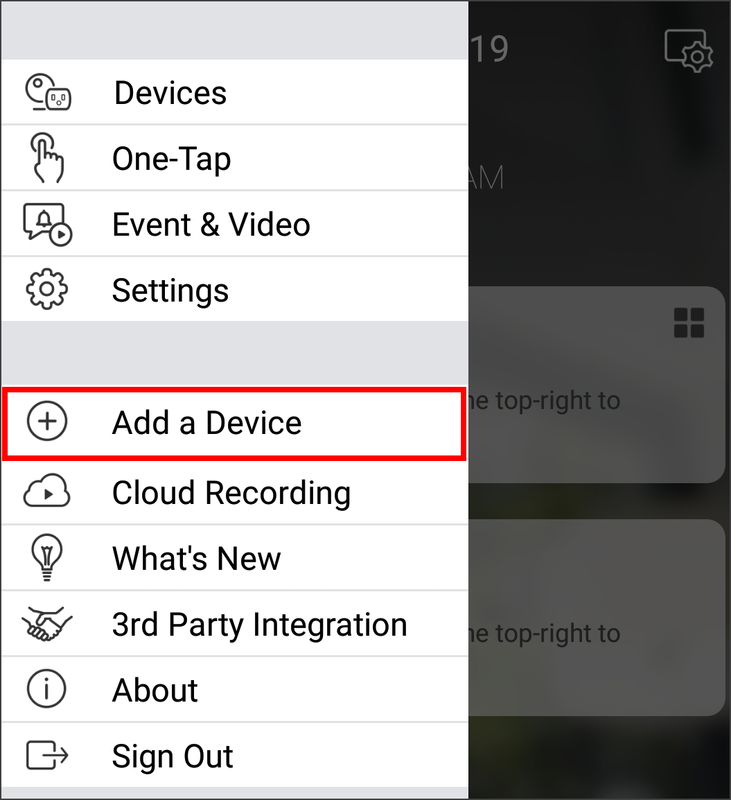 Step 1: Tap the menu icon on the top left. 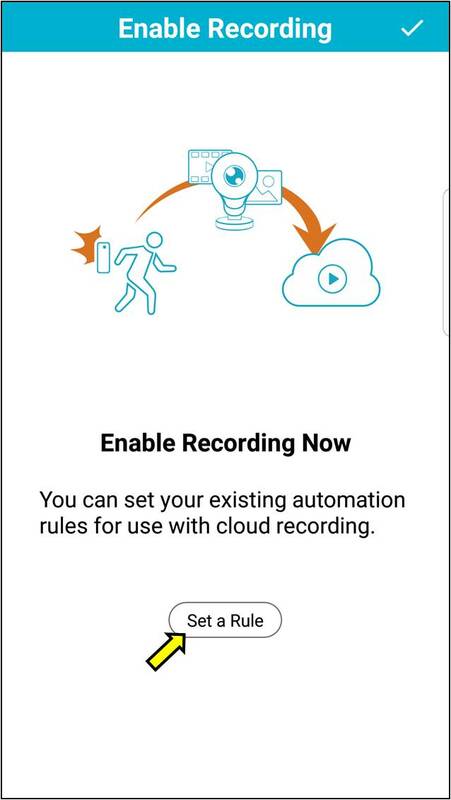 Step 2: Tap Cloud Recording. 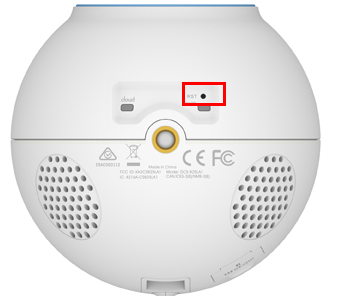 Step 5: Tap Set a Rule. 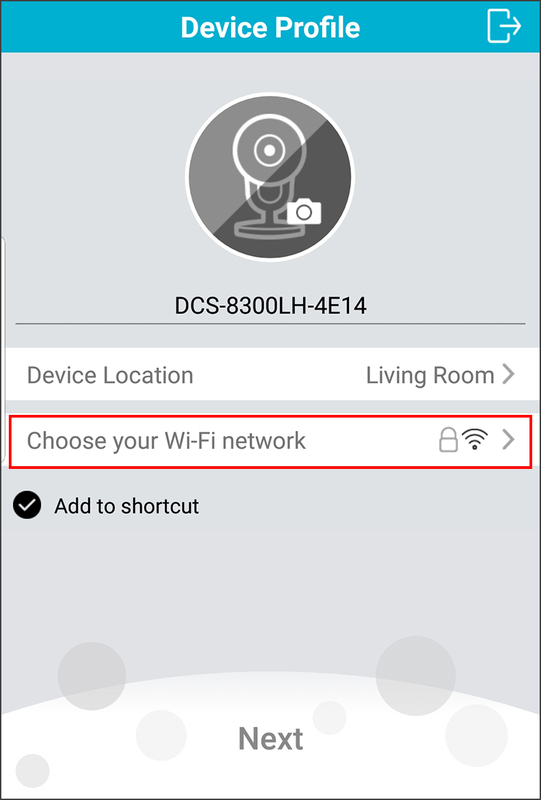 Step 6: Tap the settings icon. Step 7: Tap the + on the bottom right to add a rule for the new camera. 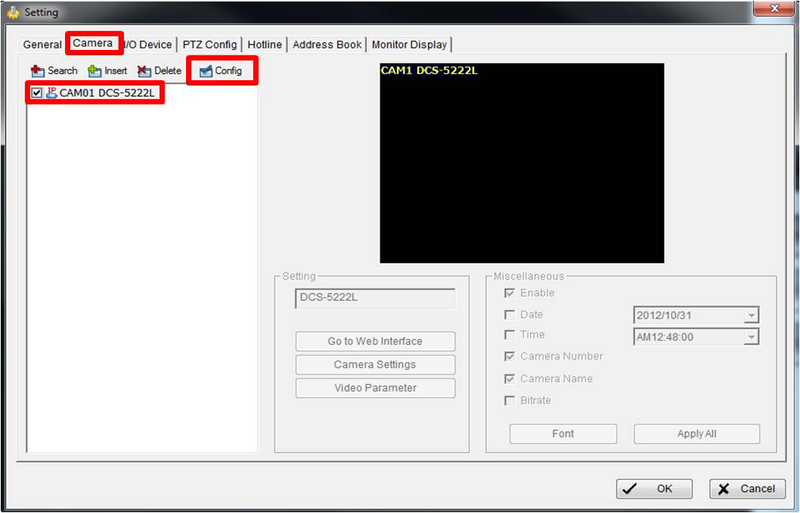 Step 8: Select the event you would like to a add to your automation, then tap Next (This example shows motion detection). 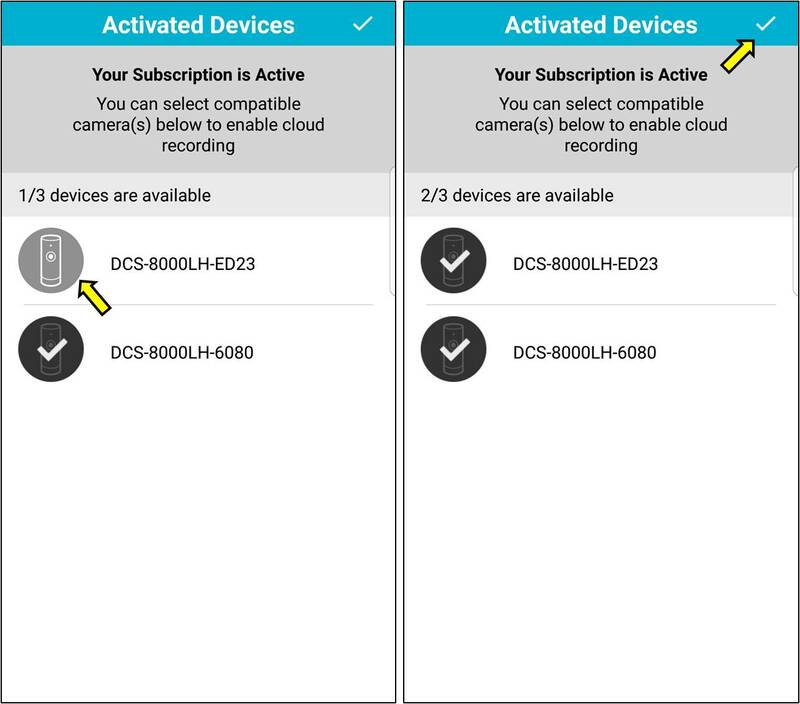 Step 9: Select the action you would like to add to your automation, then tap Next (This example shows Cloud recording and Push Notifications). 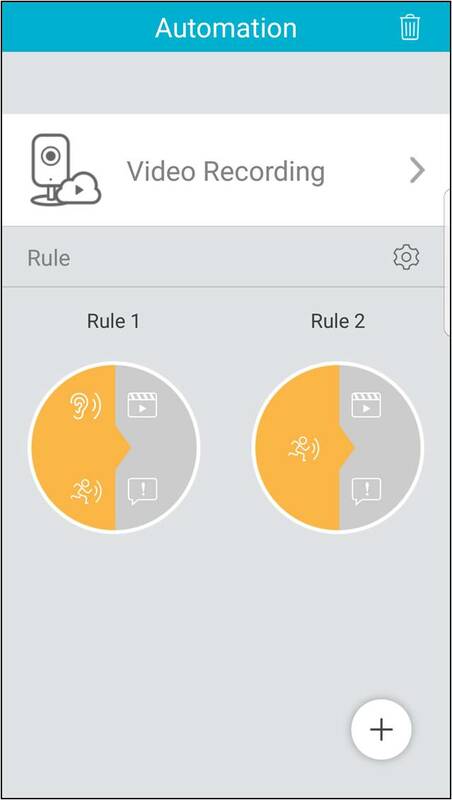 Step 11: Now you can see the two Rules for the two cameras.